Question Answering research has long recognised that the identification of the type of answer being requested is a fundamental step in the interpretation of a question as a whole. 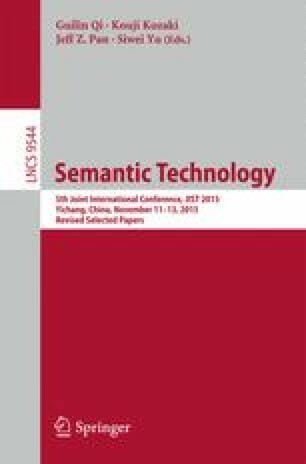 Previous strategies have ranged from trivial keyword matches, to statistical analyses, to well-defined algorithms based on shallow syntactic parses with user-interaction for ambiguity resolution. A novel strategy combining deep NLP on both syntactic and dependency parses with supervised learning is introduced and results that improve on extant alternatives reported. The impact of the strategy on QALD is also evaluated with a proprietary Question Answering system and its positive results analysed. This research has been partly funded by the European Commission within the 7th Framework Programme/Marie Curie Industry-Academia Partnerships and Pathways schema/PEOPLE Work Programme 2011 project K-Drive number 286348 (cf. http://www.kdrive-project.eu).